Powered by our Proprietary ConPAS™ Methodology, ConPulse is designed to help Consulting Providers to Evaluate the Performance of their Projects and to Discover New Levers for Improvement on Future Projects. Are your clients satisfied with the ROI of your projects? How do you measure the performance of your partners? What underperforming capabilities do you need to strengthen? Do you utilize your strengths as a focal point to obtain new business? ConPulse allows Consulting Providers to evaluate their performance at the Partner level identifying both strengths and weaknesses based on prior experience. With this tool, you can define your improvement levers, evaluate the performance of one or several management projects, and identify the consultant that best fits your project. ConPulse is the best tool for Consulting Firms who want to increase the performance and the delivery quality of their teams while increasing the depth of their client relationships. 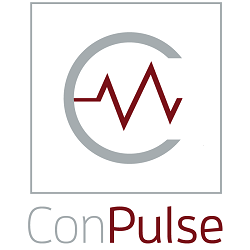 For more information, visit our website at www.conpulse.io. Consulting Quest is a global, performance-driven consulting platform founded in 2014 by former members of top 10 consulting firms with the objective of reinventing consultancy performance. With a worldwide presence and a range of proprietary performance measurement tools, we help companies navigate the consulting maze.